Software provides three modules, select any one module and fill card information. 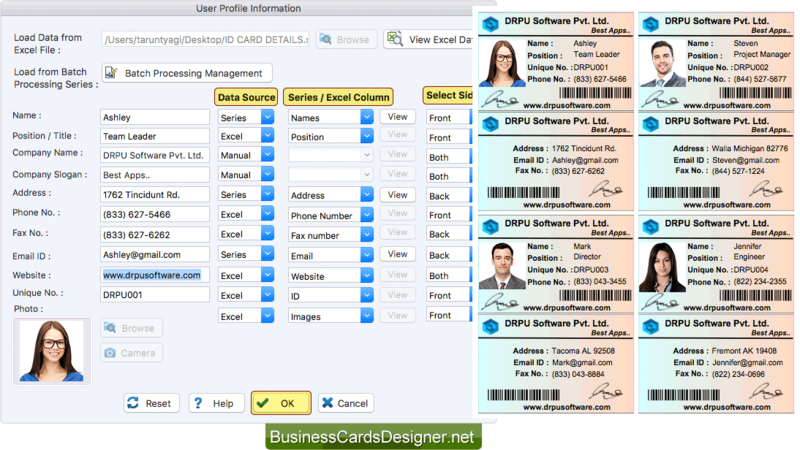 Create batch processing series and you can also import excel file of multiple user details for generating ID cards. Select Data Source, Series / Excel Column, Select Sides (Front, Back or Both sides on which side you want to add information) and click OK button to continue. 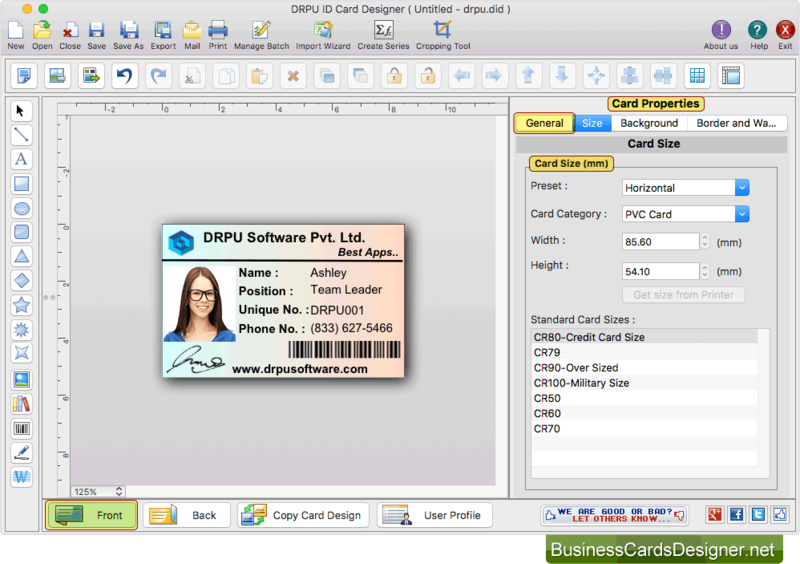 You can design ID card using various card designing objects such as line, text, symbols, images, barcode, signature, rectangle etc. 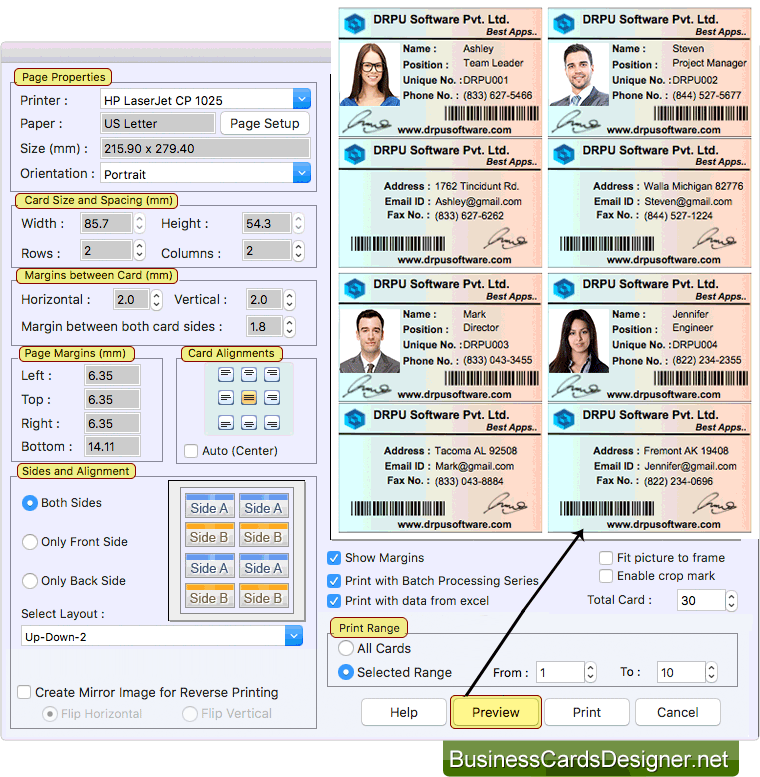 Fill various print properties and click on Print button to print your designed ID cards. To see the preview of ID cards, click on Preview button.